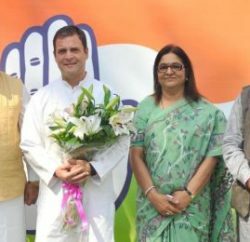 Shimla: Acting on the Congress complaint, the Election Commission has issued notice against BJP State president Satpal Satti for his remarks against Congress president Rahul Gandhi at a recent election rally in Nalagrah’s Ramashehar. 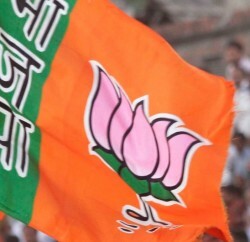 Chief Electoral Officer said the Election Commission of India has taken strict cognizance of the unwanted remarks by the State BJP President, which came viral on social media. Kumar said that based on the reports of District Election Officer, Solan, the ECI has been informed of the action taken in the matter. He said that an FIR under section 294 (IPC) has been registered against the BJP President by Police District Baddi. Earlier, BJP leader had reportedly used derogatory language against Indian National Congress president Rahul Gandhi at a recent election rally in Nalagrah’s Ramashehar. And Congress approached the Election Commission of India with a complaint over Satti’s remarks. Congress meanwhile held protests at district headquarters of the state against Satti’s language. The party has demanded action from BJP chief Amit Shah. 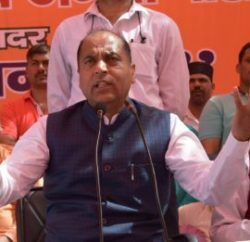 Similarly, on the complaint filed by State BJP against Advocate Vinay Sharma of Dharamshala for posting objectionable remarks on his facebook page, which has been reported in few leading newspapers, as well, District Election Officer, Kangra has been directed to thoroughly probe into the matter and submit the findings and reports immediately.